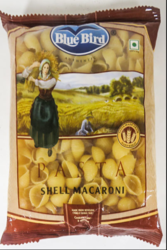 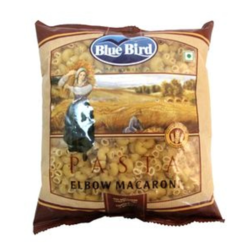 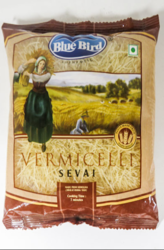 Manufacturer of a wide range of products which include blue bird fusilli tricolour, pasta, blue bird elbow macaroni 200g, blue bird elbow macaroni 500g, blue bird macaroni 200g, blue bird macaroni 500g and blue bird penne 200g. 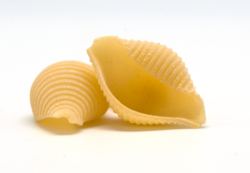 Straight and twisted ribbon pasta made by extrusion under high pressure to the desired shape and dried in a static dryer. 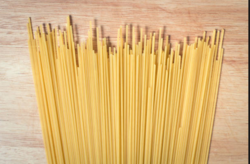 In the world of gourmet today, there are around 300 different types of pasta, and probably approximately four times as many names for them. 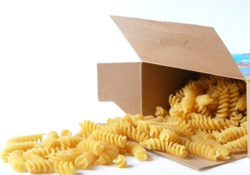 New shapes are being designed and named everyday. 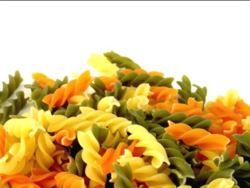 But we are specialized to make shapes like - Macaroni, Elbow Macaroni, Spaghetti, Vermicelli, Fusilli, Penne, Shell, Tagliati, Elicoidale, Alphabet, Assorted Pasta and Mini for Soup. 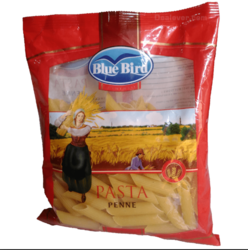 Looking for BLUE BIRD PASTA ?